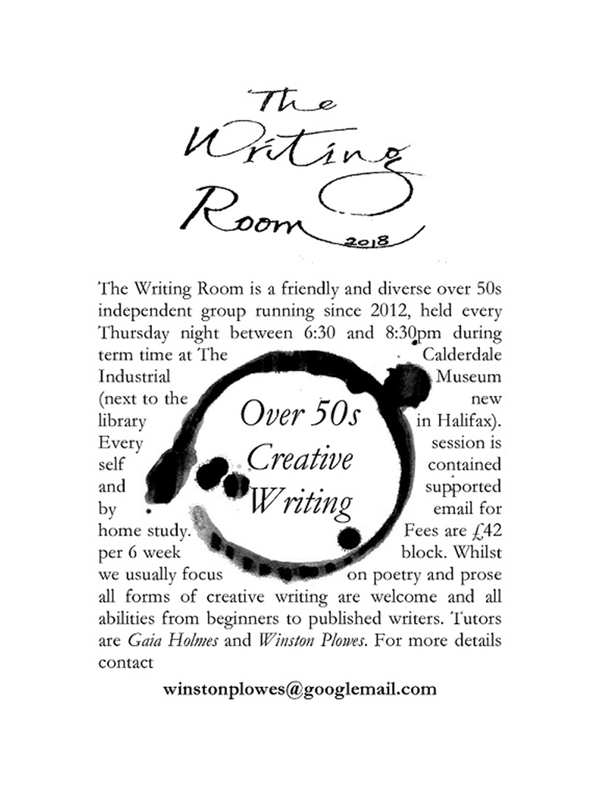 The Writing Room is a friendly and diverse over 50s group running since 2012, held every Thursday night 6:30pm-8:30pm at the Calderdale Industrial Museum, Square Road, HX1 1QG (next to the new library). Every session is self-contained and supported by email for home study. Fees are £42 per 6 week block. For further information email winstonplowes@googlemail.com.